In phase Ib results from a nonrandomized, open-label study, 83% (5/6) of patients with measurable disease treated with tucatinib/capecitabine had an objective response, as did 40% (6/15) of patients receiving tucatinib/trastuzumab. Sixty-one percent (14/23) of patients treated with the combination of all 3 drugs had an objective response. The median duration of response was 8.9 months (range, 1.4-8.9) in the tucatinib/trastuzumab arm, 5.2 months (range, 2.1-7.6) in the tucatinib/capecitabine arm, and 11.0 months (range, 2.9-18.6) with the triplet. “Up to 50% of women with HER2-positive metastatic breast cancer experience CNS metastases. 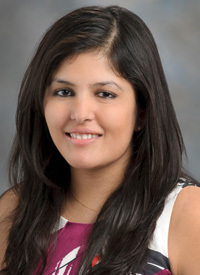 When they arise, they can compromise survival and impact quality of life for patients,” first author Rashmi K. Murthy, MD, MBE, an assistant professor in the Department of Breast Medical Oncology, Division of Cancer Medicine, The University of Texas MD Anderson Cancer Center, said in a January 2018 interview with OncLive. Sixty patients were recruited at 5 sites in the United States from January 2014 to December 2015. All patients had received prior trastuzumab, 55% had received lapatinib (Tykerb), 65% had received pertuzumab (Perjeta), and 97% had received ado-trastuzumab emtansine (T-DM1; Kadcyla). The median number of unique HER2-targeted treatments was 3 (range, 3-4). Eight patients were assigned to 350 mg of twice-daily tucatinib and 52 were assigned to 300 mg twice daily. Maximum-tolerated dose recommended phase II dose for tucatinib in combination were the primary objectives. Investigators observed no dose-limiting toxicities (DLTs) in the dose-escalation and expansion cohorts in either doublet when tucatinib was administered at the 300-mg dose level. There was a single DLT in the 300-mg dose level in the dose-escalation and expansion triplet cohort (n = 27). The DLT was a grade 4 cerebral edema occurring in a patient with an untreated brain metastasis. The patient had not been treated with corticosteroids before the DLT. The recommended phase II dose of tucatinib was set at 300 mg twice daily. The median progression-free survival (PFS) was 7.8 months (95% CI, 4.1-12.5) in the triplet arm, 7.1 months (95% CI, 4.4-9.7) in the tucatinib/capecitabine arm, and 5.5 months (95% CI, 1.5-10.2) in the tucatinib/trastuzumab arm (n = 18). The clinical benefit rate was 74% in the triplet arm. At baseline, 29 (56%) patients treated at the recommended phase II dose had brain metastases, 12 (41%) of whom had measurable metastases. Seventeen (59%) were either treatment-naïve or had progressed despite prior treatment. In the triplet arm, the median PFS was 6.7 months (95% CI, 1.4-12.5) for patients with brain metastases (n = 11). Investigators used modified RECIST criteria permitting a bicompartmental separation of body and brain to conduct an exploratory analysis assessing the efficacy of all 3 combinations in patients with brain metastases. One patient with measurable brain metastases had untreated asymptomatic brain metastases and 11 had treated progressive metastases. Of those, 5 (42%) had brain-specific objective response, 5 had stable disease, and 1 had progressive disease. One patient was not evaluable. Five (8%) patients, all assigned to 300 mg of tucatinib, died of disease progression within 30 days of their last tucatinib dose. There were no treatment-related deaths reported. Twenty (33%) patients experienced serious adverse events (AEs), 3 (5%) of which were related to the study drug: 1 cerebral edema in the triplet arm with tucatinib administered at 300 mg, 1 incidence of nausea in the 350 mg of tucatinib/capecitabine arm, and 1 incidence of vomiting in the 350 mg of tucatinib/trastuzumab arm. At the recommended phase II dose, the most common (≥5%) grade ≥3 treatment-emergent AEs in all patients were fatigue (8%), diarrhea (7%), and palmar-plantar erythrodysesthesia (7%). There were 4 (15%) incidents of grade 3 diarrhea in the triplet arm and 1 (4%) incident of grade 4. There was 1 grade 3 diarrhea in the tucatinib/capecitabine arm and none in the tucatinib/trastuzumab arm. There was no incidence of grade 4 diarrhea in either doublet arm.